Ever want to design your own own clothing? In today's world, it is becoming easier. 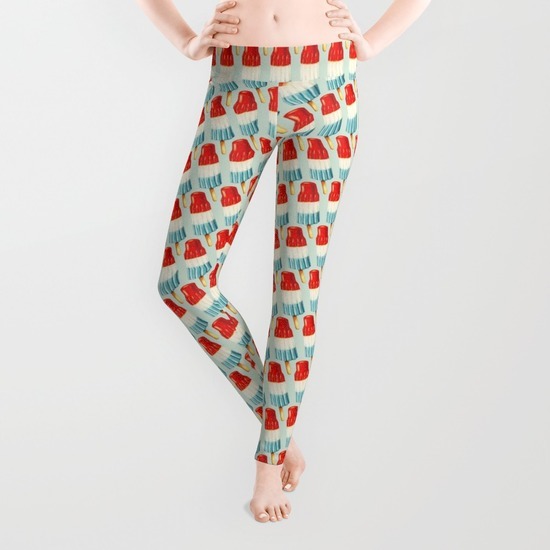 Case in point: Society6. 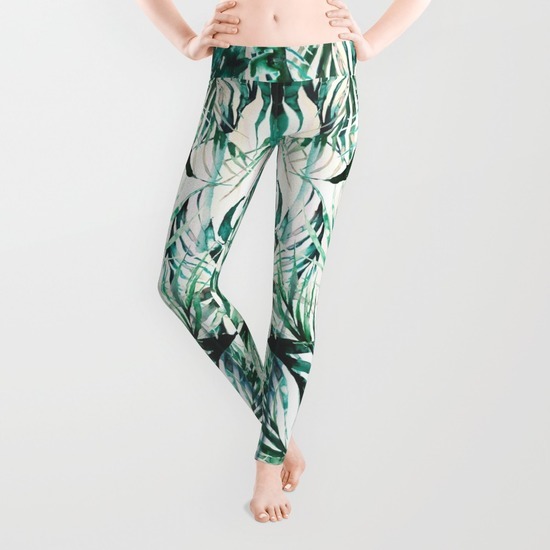 For years, you could get your own tees, hoodies, and tanks (not to mention art prints, home decor, phone cases), but in the last month they leveled up their options with leggings. 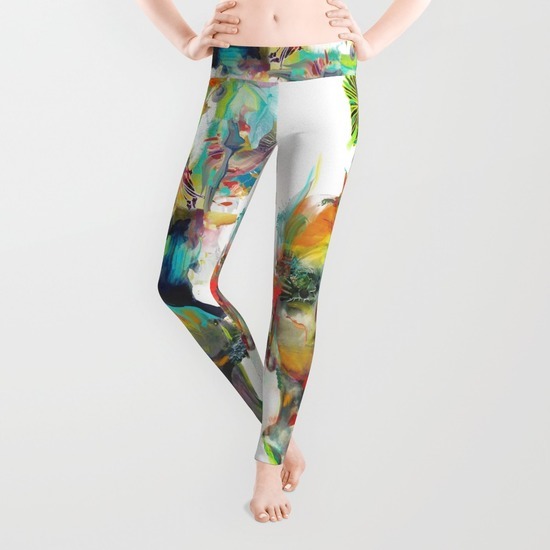 In April of this year Society6, launched their new legging option and many shops have taken advantage. 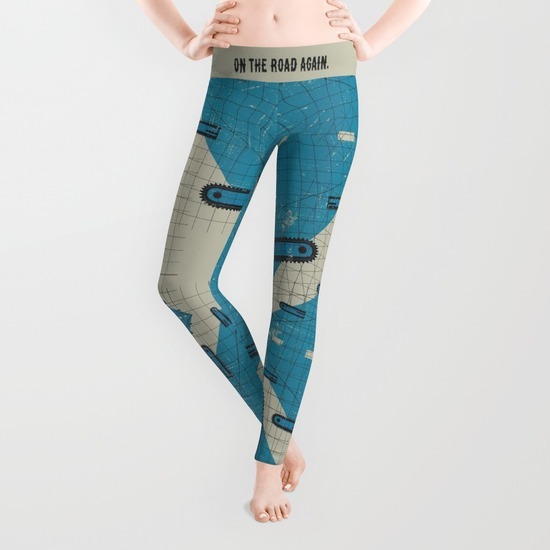 There are around 2000 leggings to choose from thanks to current Society6 shops, but you can also upload your own design. 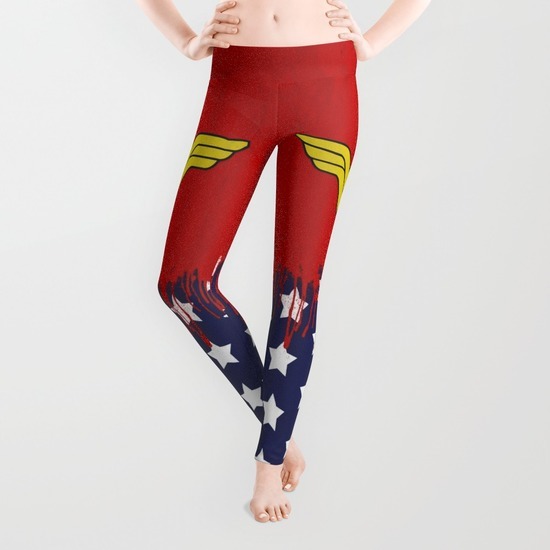 For those, like me, who want to know the material detail: Society6 uses a high quality anti-microbial poly-spandex material (apparently they "wick moisture and remain breathable"). They also state that "the proprietary high-waisted cut and sew construction provides an unprecedented quality in fit and versatility that you won't find in any other artist-driven community."